I first tried cooking this dish when I was living in London using Delia Smith’s Cookbook as my guide and it turned out to be super delicious and my family and I fell in love with this dish ever since. This is a fairly easy dish to prepare and it won’t mind hanging around if your guests are late. It goes so well with some crusty bread or rice. So is Hungarian goulash a soup or a stew? Well, it is somewhere in between. 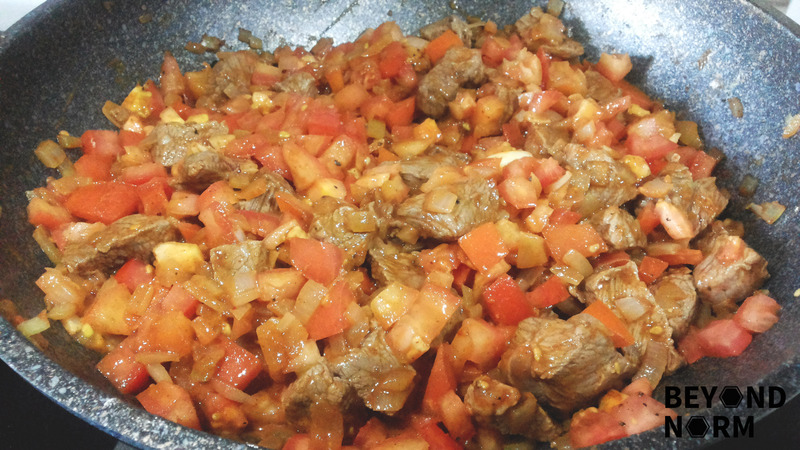 If cooked in the proper way, goulash has a nice and evenly thick consistency, almost like a sauce. 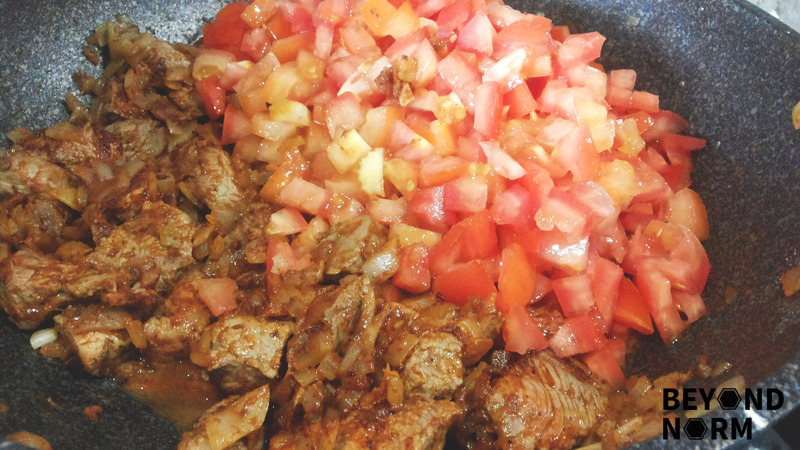 Top it with some sour cream and sprinkle a little more paprika and it will make a perfect dish. 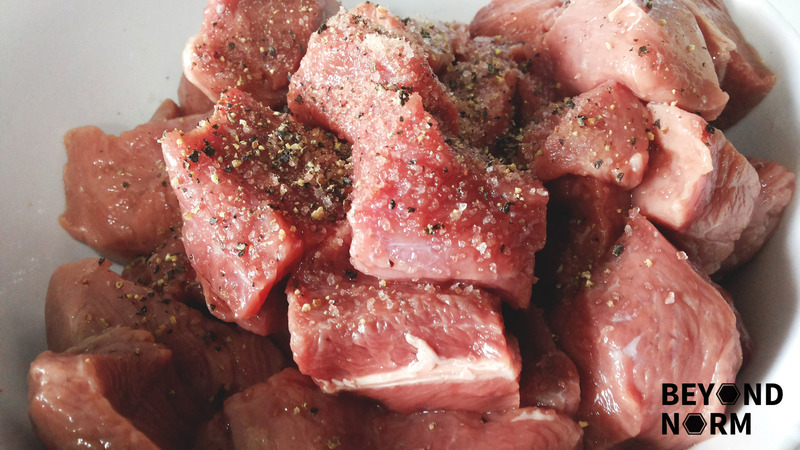 Rinse and cut the beef into 4cm cubes. Heat up a non-stick pan/pot and add 2 tablespoon of olive oil into it. Brown the beef cubes (a bit at a time) on all sides. 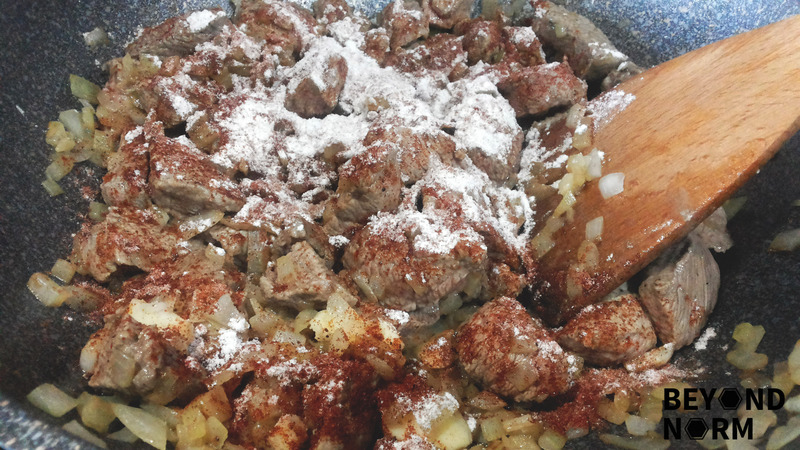 Dish out the browned beef cubes and set aside. Using the same pan, add 1 tablespoon of olive oil. 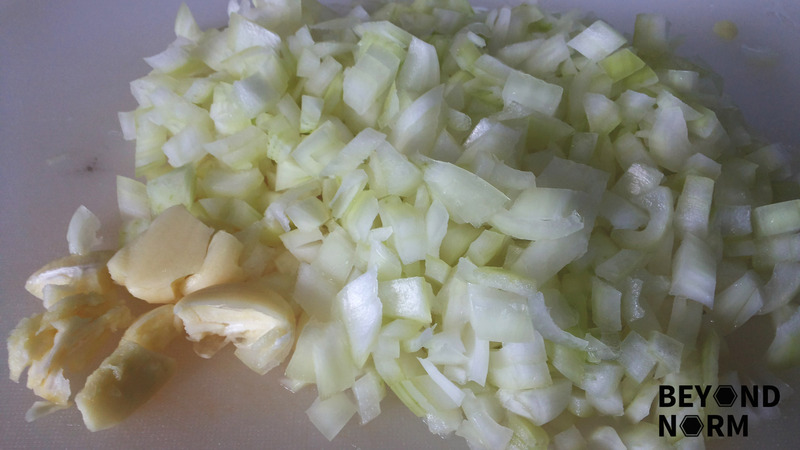 Stir in the chopped onions and cook for about 5 minutes or until they turn a pale golden colour. Then add in the crushed garlic. 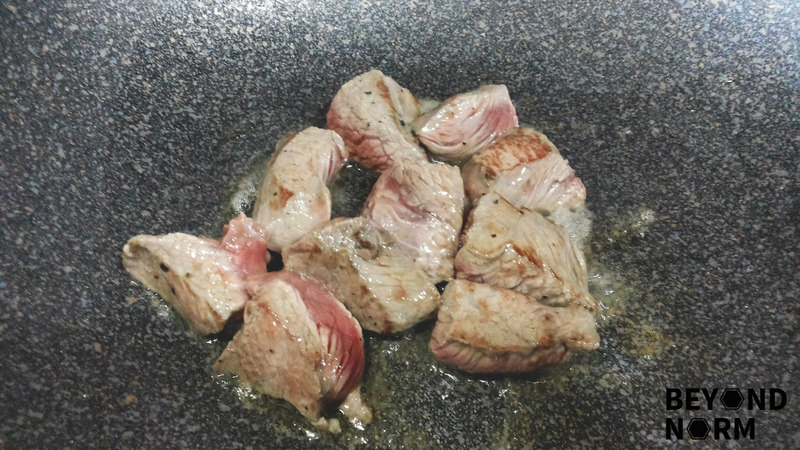 Transfer the brown beef into the pan/pot. Sprinkle in the flour and paprika and stir to soak up the juices. 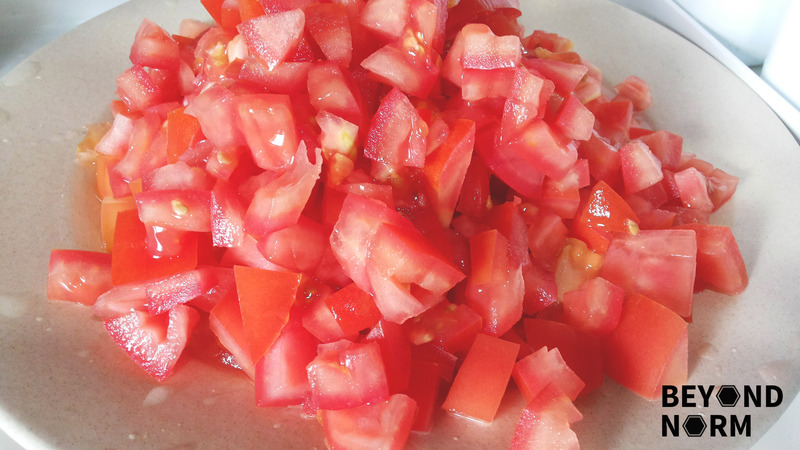 Add in the tomatoes and season with some salt and pepper. 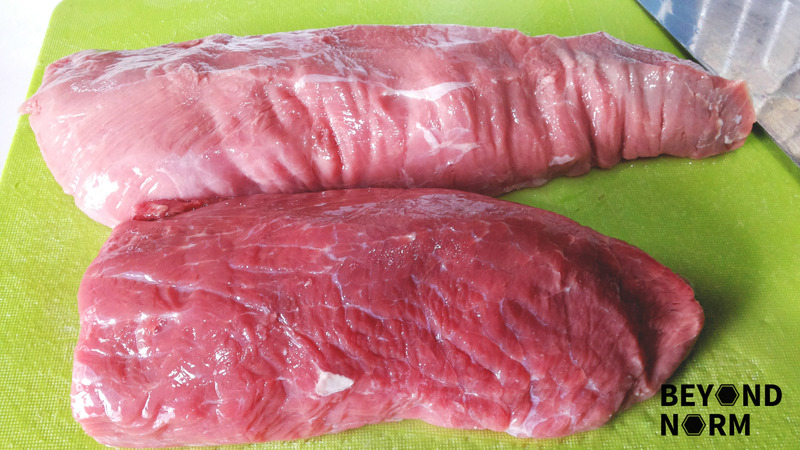 Bring it to boil and then lower the heat to low and cook for 1 hour 15 minutes or till beef is tender. 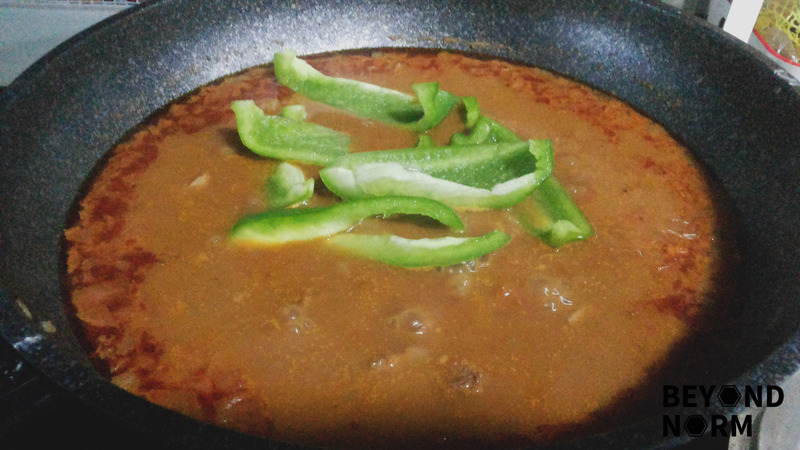 Stir in the stripped green/red peppers into the goulash and cook for a further 20 minutes. Just before serving, dish the goulash into a bowl and top a notch of sour cream and sprinkle a little more paprika over it. Serve with some crusty bread or rice. Oh wow, there aren’t enough words for how much I love goulash! I’ve started putting a little cumin in, it gives it a really rich, kind of exotic flavour. Hi Josephine, thanks for sharing your recipes and I love them all. For this recipe, can I omit the sour cream or replace it with milk ? Hello! Just curious, from step 10 to 11, did you add in any water/broth? Thank you!